Turn up in your TR at lunchtime and for just £30 you'll be able to take your TR onto the track for a few laps. 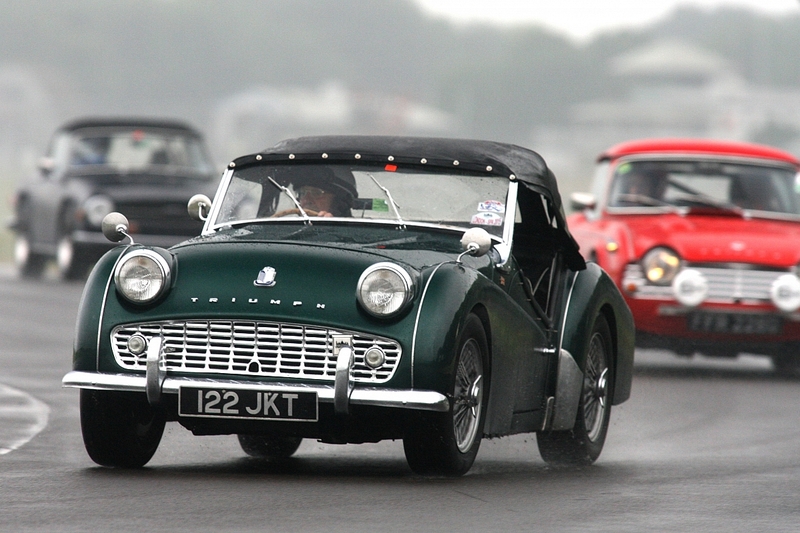 Drive as fast (or as slow) as you like on the famous Castle Combe race circuit. You'll need to attend the drivers' briefing at 2.30pm after you have had your car noise tested. Turn up and pay on the day - no booking needed. Alternatively just come along and watch - there's no entry fee for spectators. The cafe will be open all day and dogs are allowed provided they kept on a lead at all times.